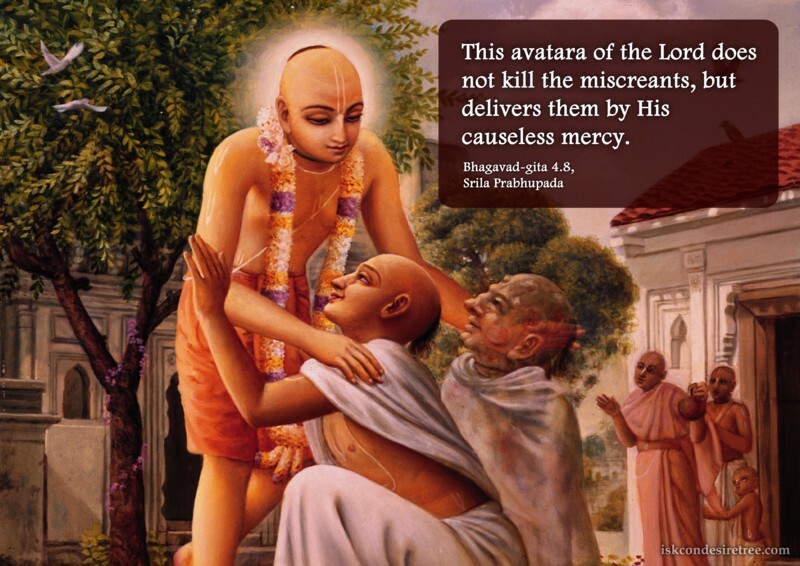 This avatara of the Lord does not kill the miscreants, but delivers them by His causeless mercy. 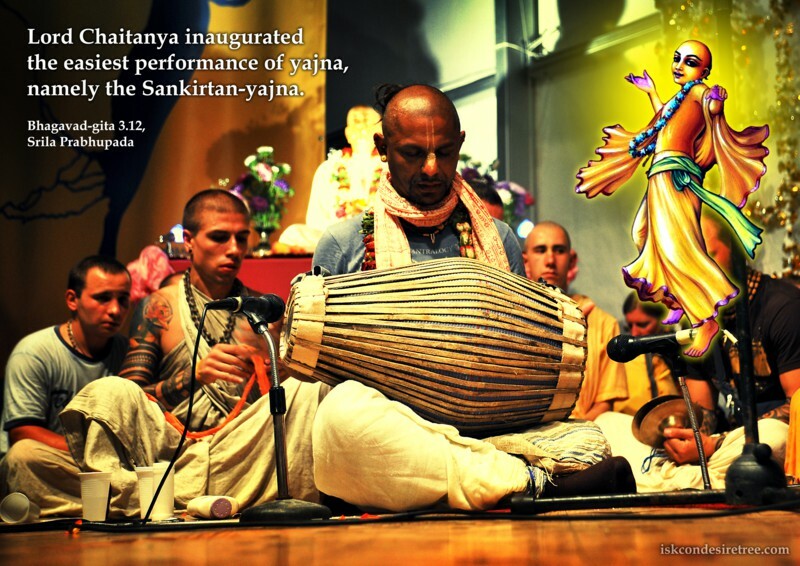 Lord Chaitanya inaugurated the easiest performance of yajna, namely the Sankirtana-yajna. 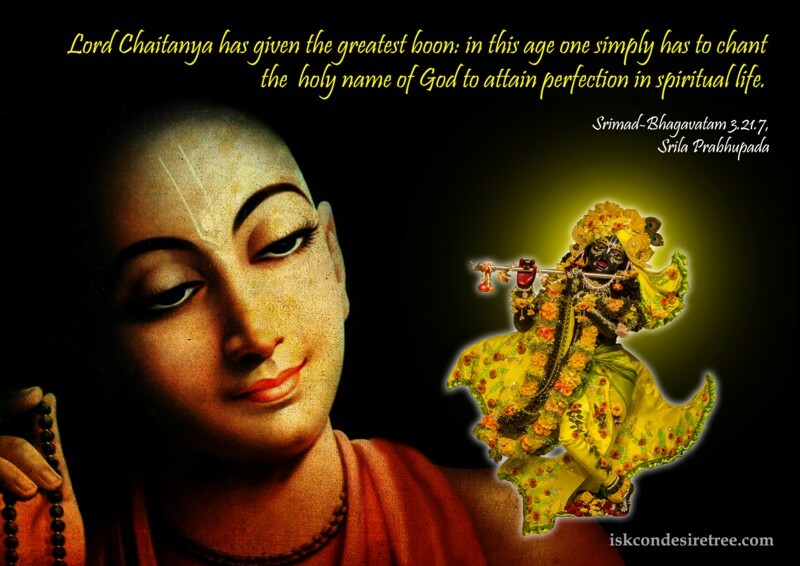 Sri Chaitanya Mahaprabhu’s special mission is the deliverance of all fallen souls in Kali-yuga. 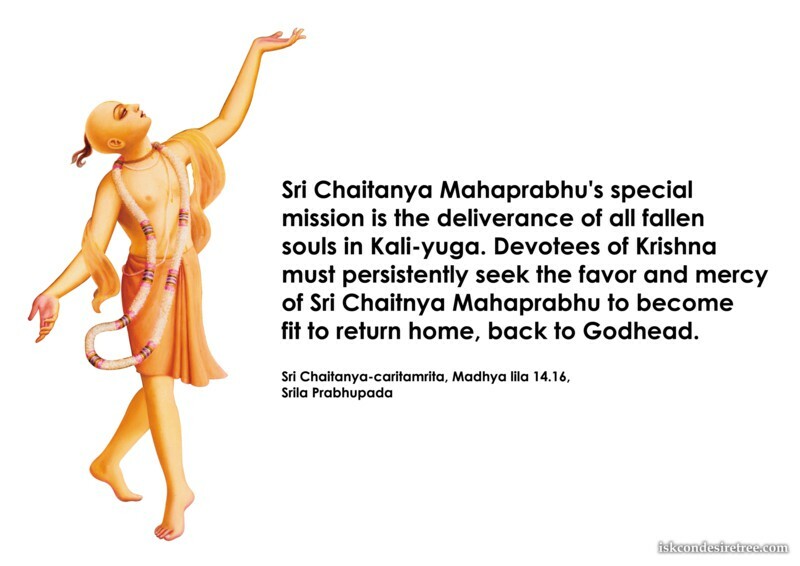 Devotees of Krishna must persistently seek the favor and mercy of Sri Chaitanya Mahaprabhu to become fit to return home, back to Godhead. 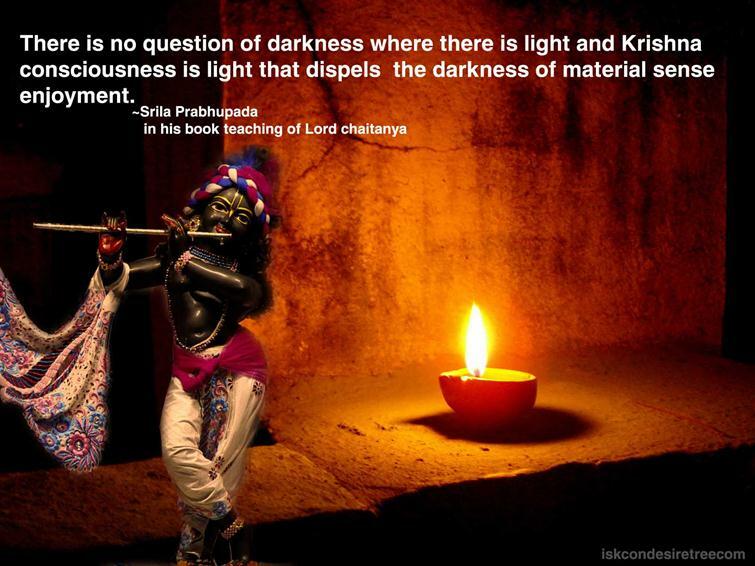 There is no question of darkness where there is light and Krishna consciousness is light that dispels the darkness of material sense enjoyment. 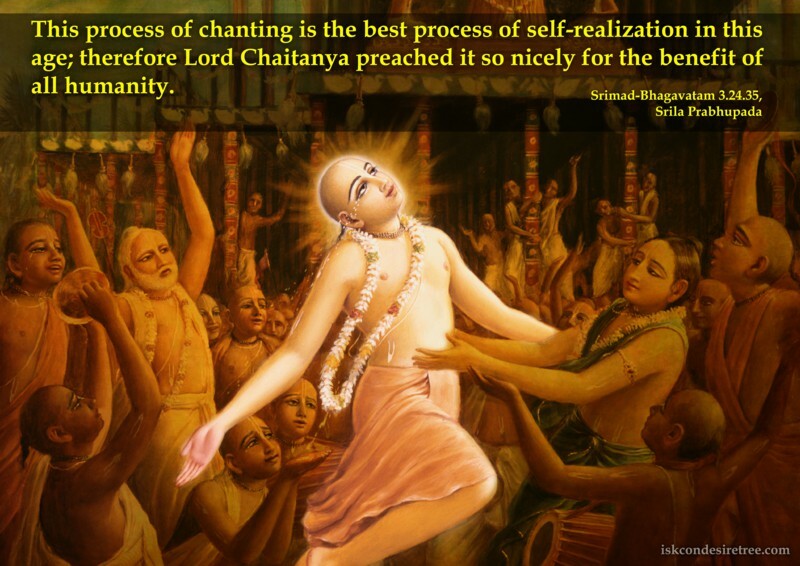 This process of chanting is the best process of self-realization in this age; therefore Lord Caitanya preached it so nicely for the benefit of all humanity.